I love browsing thru everything Donna has created in all her collection and I find them very interesting especially her choice of colors. 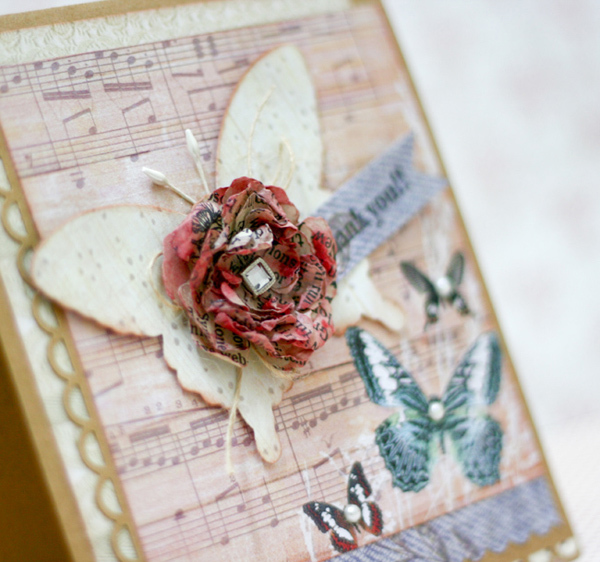 This time round, I wanted to play with the butterfly die called Wonderful Wings (drop dead gorgeous) and while browsing the papers, I came across (again) this pretty paper in the Spring In Bloom collection. That paper is filled with butterflies at the corner and immediately I knew what to do... a thank you card! Imagine the light bulb above my head. Lol. The rose creations die is one of my fav flower from Donna's dies. The new Smooch color is perfect for the flower... swoon! gorgeous card and love the dies. This is beautiful, Jessy!! That butterfly die is so awesome, isn't it? 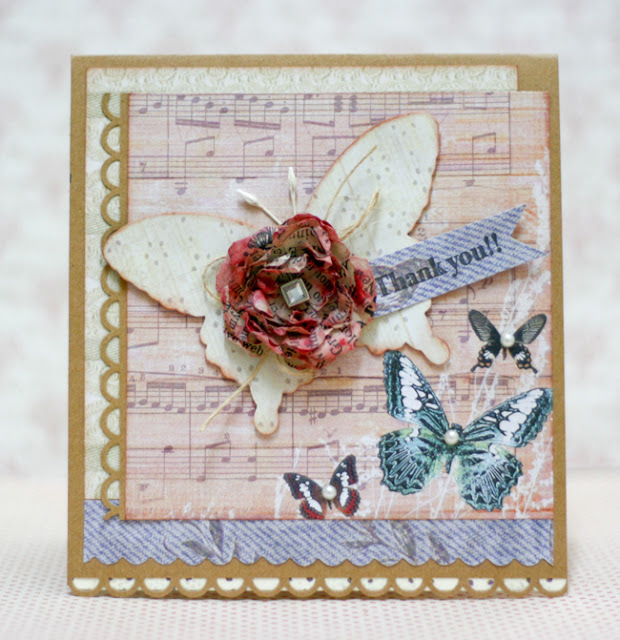 Love how you paired it with the Spring in Bloom butterfly paper. LOVE the layered flower, too. Gorgeous!